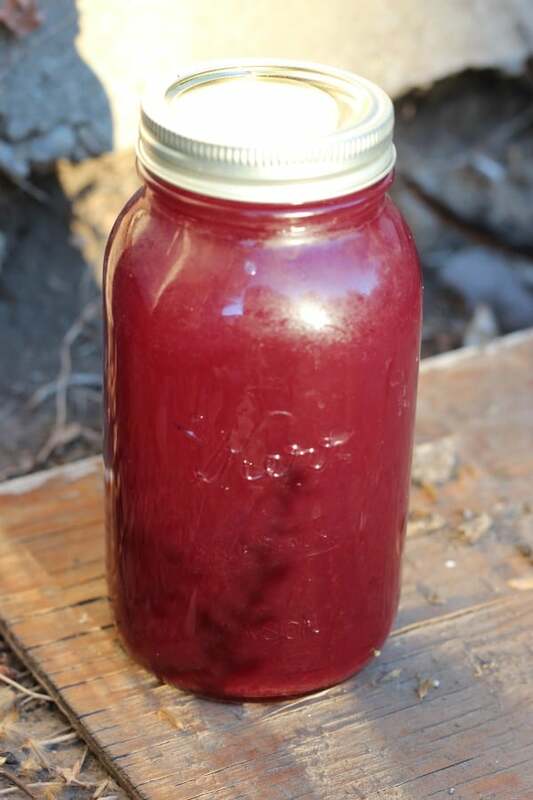 September 30, 2017 0 comments on "Canning Grape Juice"
I always thought it would be hard to make homemade grape juice, but it really isn’t! It takes a little time and you need to have the right (inexpensive) equipment, but it really is easy to make. *You can prepare this recipe with purple or green grapes. It doesn’t matter if the grapes have seeds in them, you will strain those out when you make the juice. Rinse grapes. Place in a large stock pot and add just enough water to cover grapes. Simmer for 15-20 minutes, until grapes are soft. Mash grapes with a potato masher. Place grapes in a jelly bag to strain juice. Place grape juice in a large sauce pan. Add water to dilute, if desired. Add sugar to sweeten, if desired. 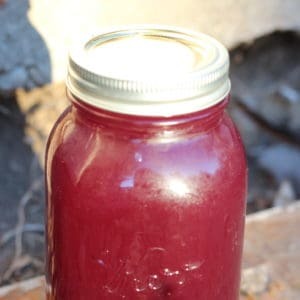 Heat until candy thermometer shows temperature has reached 190 degrees F. Heating the juice to this temperature is necessary to kill any bacteria present in the juice before canning it, so this step is important. Remove the pan from the heat. Remove any foam with a metal spoon. Ladle the jam into hot sterilized quart jars, leaving 1/4 inch head space, and process in boiling water canner for 15 minutes.